Best home cinema systems 2018 | What Hi-Fi? With the rise of soundbars and soundbases, and the increasing choice and affordability of AV amplifiers and Blu-ray players, all-in-one home cinema systems are few and far between nowadays. But if you do want a convenient and space-efficient home cinema solution, two options stand out. Each offers a different take on the product category, and at very different price points. What are they, you ask? Read on, and all will be revealed. This 5.1 all-in-one system may have been around since 2014, but it's still the best of its kind. An excellent picture, great sound and all different kinds of streaming features are yours, and all for just £350. Admittedly there's no 4K. 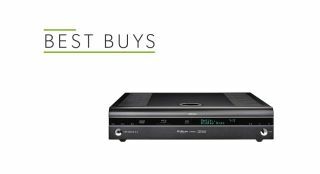 But if you can do without, this system's superior performance for both stereo hi-fi and home cinema make it a very worthy investment.